In the town of Weslaco, TX, just 11 miles from the Mexican border, 54% of pregnant women lack access to adequate prenatal care. Catholic Volunteer Network AmeriCorps Members are serving there with The Holy Family Birth Center to make quality care more accessible for the women and families of the Rio Grande Valley. What started as a small clinic is now a model birth center offering comprehensive maternal and infant care including exams, out of hospital births and education. CVN AmeriCorps members are working alongside the nurses and midwives to make it all happen. They live in a unique community that gardens together, eats together, and works together with a likeminded passion for serving others. Gina Fasciani’s path to The Holy Family Birth Center exemplifies this kind of passion and commitment to be in service to others. Gina Fasciani is a highly-qualified nurse-midwife who recently completed both her service in the United States Air Force and a graduate degree. “I was drawn to the military for multiple reasons,” she said. “I felt like it would be an honor to get to be a nurse taking care of our service members. 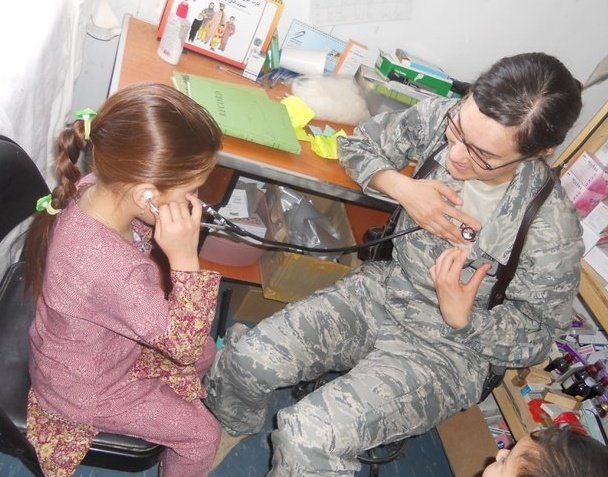 I desired to be a part of something that was larger than myself.” Being part of the Air Force Nurse Corps seemed like the perfect combination of adventure and service, challenge and reward. Inspired by faith and supported by community, Gina Fasciani truly lives “Service before Self.” AmeriCorps gives veterans the opportunity to continue to serve their country and give back to their communities in order to address critical needs with measurable outcomes. This Independence Day, let us pause and express our gratitude for all those like Gina whose passion for service is an exciting example for all.